CloudFlare recently released an app for Android and iOS that makes it easy for users to encrypt their DNS queries using CloudFlare’s 1.1.1.1 DNS resolver. For once, I’m really not sure what the point is of a security tool like this. One of the criteria for using the 1.1.1.1 app is you need to turn off any VPN you have activated. But I’m not really certain what the use case would be for wanting encrypted DNS but not a VPN. Personally, I use ProtonMail’s VPN on my phone when I want privacy from the local network operator. There are issues with Proton, but it’s security is more than good enough for anyone not concerned about state actors in their threat model. The one potential drawback with a[[ this is that it is only available as an APK that would need to be side-loaded. There is not a version of this available from the Play Store as far as I can tell. InboxIt – Share to Mail is an app for Android designed to improve how Android handles sharing links via email, primarily for emailing links to yourself that you want to read later. There is no need to type your email address, email title or body. InboxIt with a ‘single click’. In addition, InboxIt grabs website’s image and description for nicer and more readable emails, no more clicking on emails to figure what article this is, images & videos are also supported (up to 25mb). The premium 99 cent version will also automatically add a +keyword label for sharing to Gmail addresses, which makes it easier to sort these “read later” emails from other emails. I have a variety of ways to track stuff I want to read later, and tend to email myself links that I need to follow-up on in the near future. InboxIt just makes those emails all the more useful. 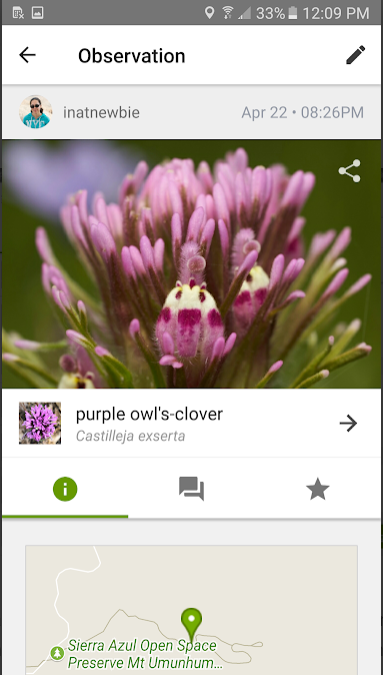 iNaturalist is a citizen scientist app for Android. Take pictures of flora and fauna in your area, and the community and a machine learning backend will identify the species. Both cool and the data gets added to the Global Biodiversity Information Facility’s dataset. 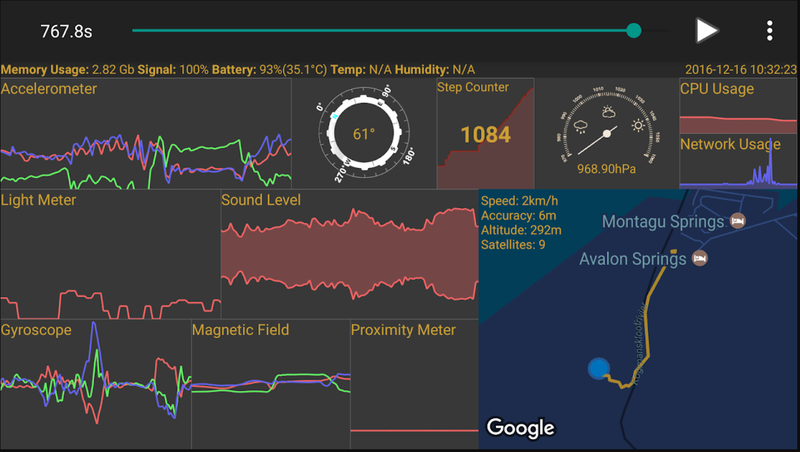 Android Sensors is an app for Android that will display all of a phone’s sensors. The app lets users monitor what their phone’s sensors are detecting, record that, play it back, and export it. 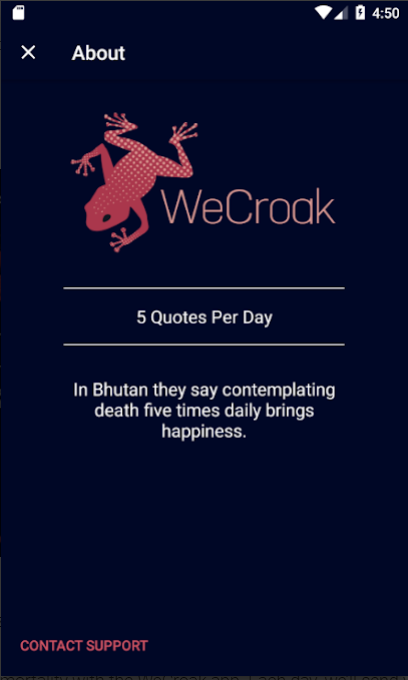 WeCroak is an Android App designed to remind the user that he or she is going to die. Each day, we’ll send you five invitations at randomized times to stop and think about death. It’s based on a Bhutanese folk saying that to be a happy person one must contemplate death five times daily. The WeCroak invitations come at random times and at any moment just like death. When they come, you can open the app for a quote about death from a poet, philosopher, or notable thinker.